Sgt. 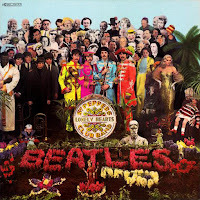 Pepper's Lonely Hearts Club Band is probably the only 1967 album I have heard in full. 2017 is significant though, because coincidentally my nine-year-old son picked this year to become obsessed with the Beatles. 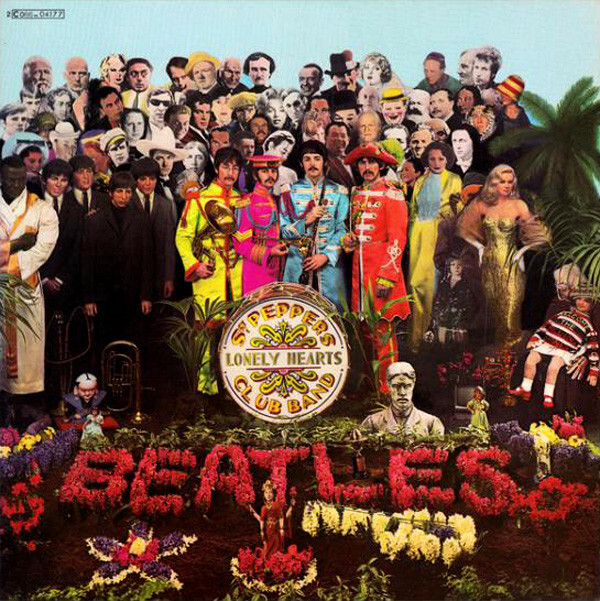 I had always appreciated the Beatles, but had never heard all of their albums in full until this year--due to his prompting. Also released in 1967, Magical Mystery Tour has in a way become my favorite Beatles album, despite that it is not a studio LP and is made up mostly of B-sides. 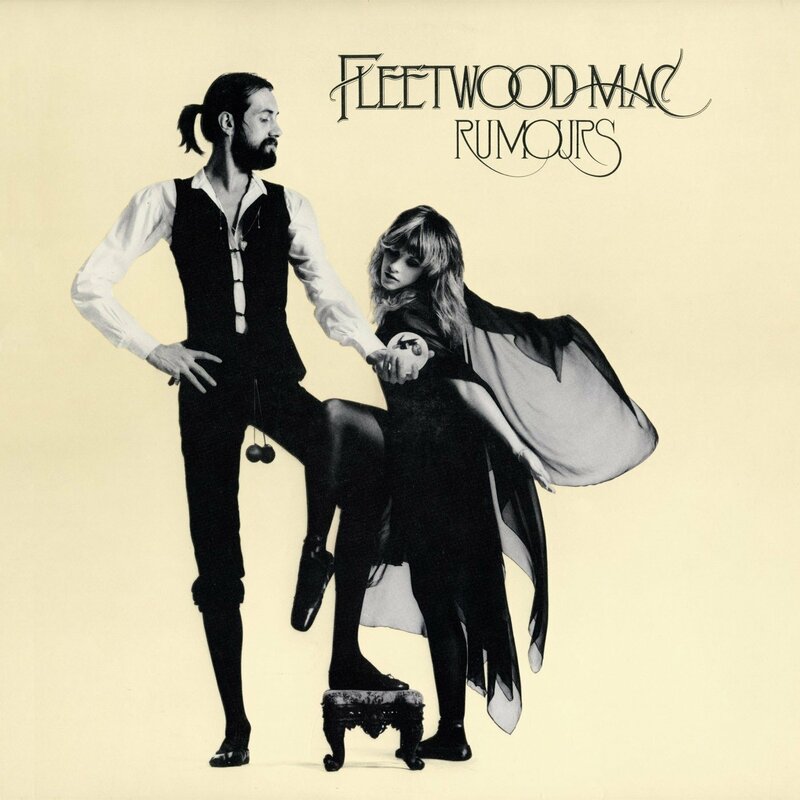 I haven't yet written a best of 1977 post, but when I do, number one will be an easy pick for me: Rumours by Fleetwood Mac. When I turned 40 last year I wrote a list picking a favorite song from each of my years of life, and "Second Hand News" was my 1977 selection. Finally researched and published my best of 1987 in October of this year. 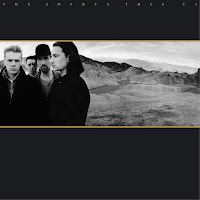 Number one was never in doubt, as U2's Joshua Tree has been a favorite of mine for a long time and the first LP I ever bought on vinyl. My best of 1997 post has been online for quite some time, but I did revise it earlier this year. 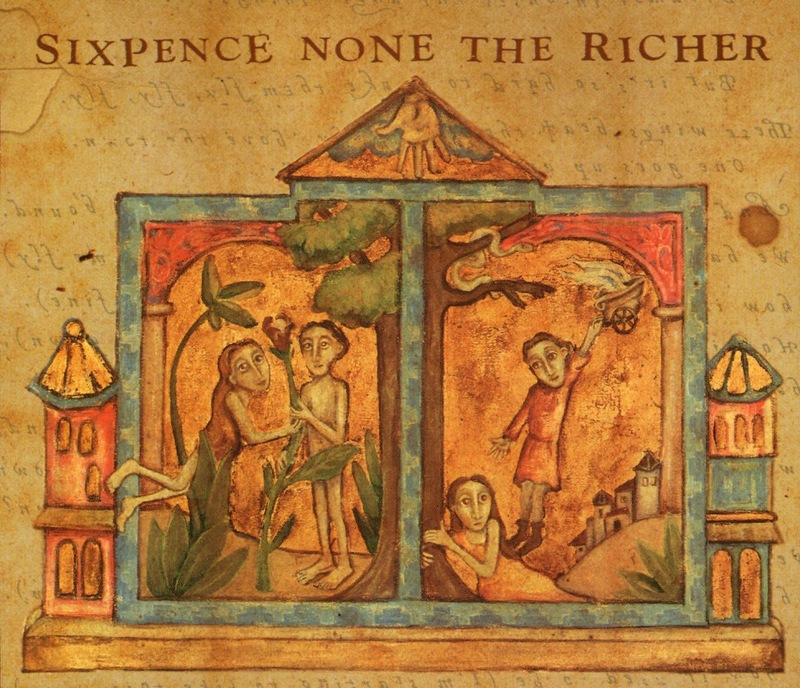 And then last month I published an essay celebrating the 20th anniversary of Sixpence None the Richer's self-titled album, which can be found on Medium. This essay is one of the best things I have written in years I recommend reading it more than I do this post. I wrote a best of 2007 list in early 2008, and kind of cheated with the #1. But I am still feel the same way, as the four EP's that make up Thrice's Alchemy Index are still in my opinion the best thing they have ever released. The first two EPs were released in October 2007, but the final two not released until April 2008. Now, on to 2017. Quite honestly, this was the year of the Crutchfield sisters. 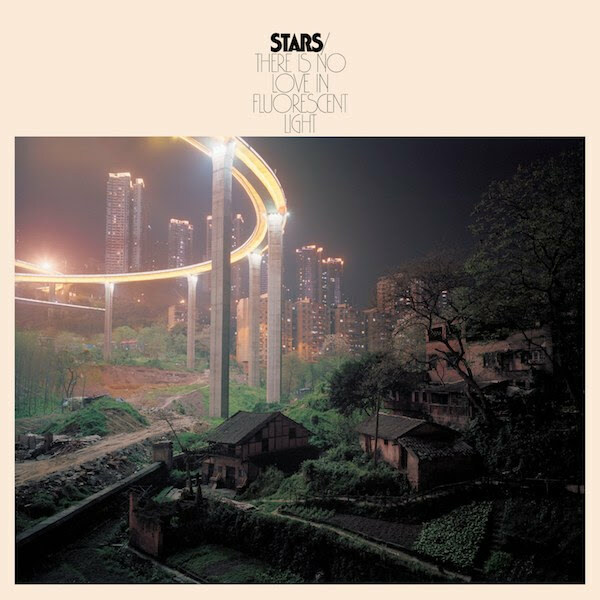 Somehow I had not heard of them or their music until this year despite that they have been prolific both together and solo for a decade (and despite the fact that I lived in Birmingham, Alabama for six years while they were also there). 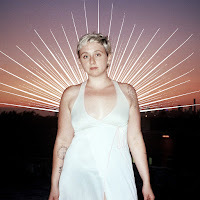 While I didn't know where the albums would rank in my final list, no music has filled my speakers more over the last 12 months than Allison Crutchfield's Tourist in This Town, released in January, and Katie Crutchfield's (who performs as Waxahatchee) Out in the Storm, released in July. 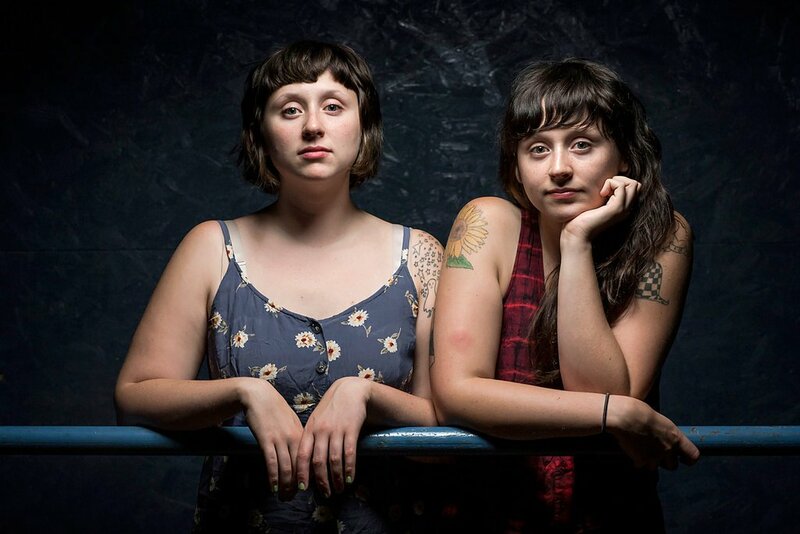 "Katie and Allison Crutchfield are perhaps the hardest-working twins in indie rock today. Born in Birmingham, Ala., Allison and Katie started playing music together in their early teens. Since then, they've been in myriad bands, both with each other and apart. The sisters started The Ackleys when they were 15, then shifted their focus to the pop-punk band P.S. Eliot. After that group disbanded in 2011, the two women split musically. 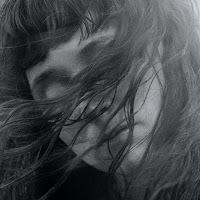 Katie began making music as Waxahatchee; her sound has evolved from DIY raggedness to impressive full-band force while always preserving her knack for bitingly direct, emotional lyrics. Meanwhile, Allison started the fuzz-pop band Swearin', which broke up in 2015; she now releases songs under her own name that set folk-inspired lyrical specificity against dark, dreamy synths. "As identical twins and creative collaborators, the Crutchfields' lives have always been intertwined. But with new albums out from both sisters, this year seems more about parallel motion. In January, Allison released her debut solo album, Tourist In This Town, while Katie's fourth album as Waxahatchee, Out In The Storm, came out Friday. 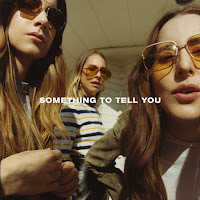 The records are, as Allison puts it, 'dueling breakup albums,' both written about the emotionally turbulent separations that the sisters happened to go through at the same time in their lives." Finish the piece here; and turns out both albums did make it pretty high in my year-end list. In January I wrote predicting the best albums of 2017 and giving my best guess which artists would and would not release albums. I did a decent job, and even nailed a few surprises. About a third of the 30 I predicted did not get released though, so we have a starting point for 2018. I would rank all of my top 10 albums of 2017 below ahead of my 2016 number one. 2016 was a pretty weak year for music, and 2017 was the exact opposite; maybe the best year for music in a decade. Once again thanks to Rob Mitchum for his Top Albums database spreadsheet. I use it for the "number of major music lists" stat, and it is always helpful for discovering new music. This year he aggregated 27 publications "best of 2017" lists, which included 482 albums. The top three albums mentioned here all were debated internally by me for the last few months. All are are good enough to be an album of the year, and in many years, the next few albums on this list would be been a number one. What separated Out in the Storm from the next two is consistency and song-writing. Each of the ten songs are outstanding, and so much so that my favorite song on the album has changed at least half a dozen times. Each song is good enough to stand alone, although of course they compliment each other over the course of 35 minutes. "A gimmick song to me is a song like 'Cherokee.' It's based around a goofy bass line, and you're going for a mode with the guitar sound. It's more based on style than substance. I like gimmick songs — that's what I call 'em — and I also like song-songs." Waxahatchee writes all "song-songs." While gimmicks are used of course at times, the songs stand alone no matter the instrumentation; they could be played solo on an acoustic guitar and they would still be strong. That is mostly true of Manchester Orchestra as well, but not at all true of Wolf Alice; more on that below. 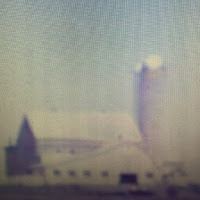 "This time around, Crutchfield recorded it in an actual studio with John Agnello, the veteran indie rock record who’s worked with Sonic Youth and Dinosaur Jr. and the Hold Steady. And Agnello recorded Waxahatchee as a full band, capturing them all playing in a room together and only adding minimal overdubs. Allison was in the band this time. So were their old P.S. Eliot bandmate Katherine Simonetti, Pinkwash’s Ashley Arnwine, and Sky Larkin leader/Sleater-Kinney touring guitarist Katie Harkin. These four musicians all make sense together. And hearing a band like this playing on Katie’s songs, it’s like they’ve been strapped to a rocket." With A Black Mile to the Surface, Manchester Orchestra has finally mastered their craft and released their best album. It successfully combines intricate (but not grungy) guitar work with Andy Hull's layered vocals and terrific story-telling. 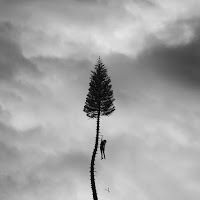 "Manchester Orchestra frontman Andy Hull promised a scaled down version of his band on 'A Black Mile to the Surface', a course correction after the overproduced thud of their previous album...So, no surprise that the narrative concepts, the production, and arrangements of A Black Mile to the Surface are the most grandiose of his career. 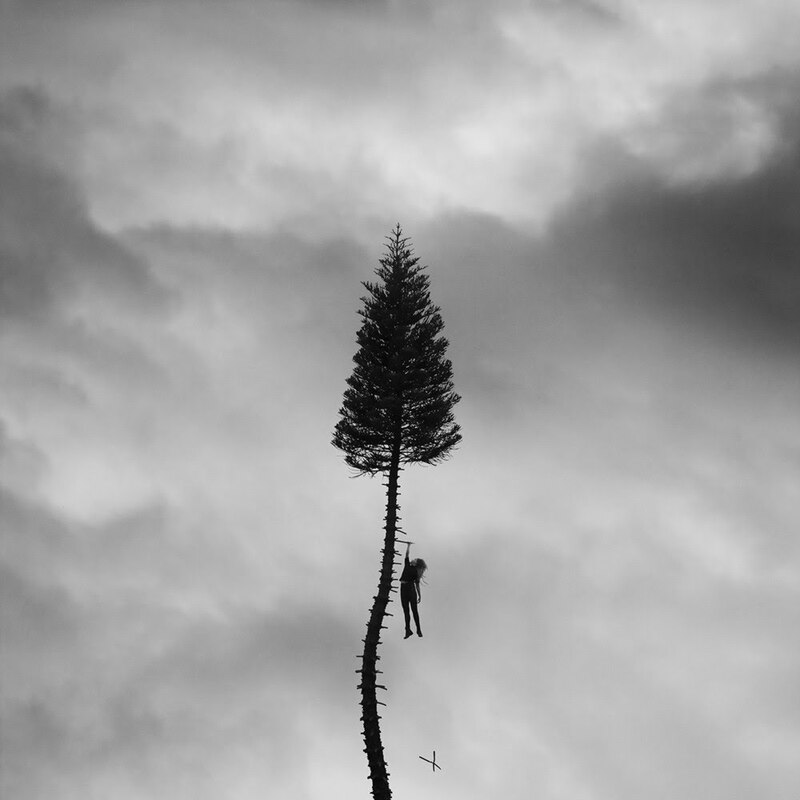 The result is Manchester Orchestra’s most confounding, thrilling, and unintentionally loopy album yet." 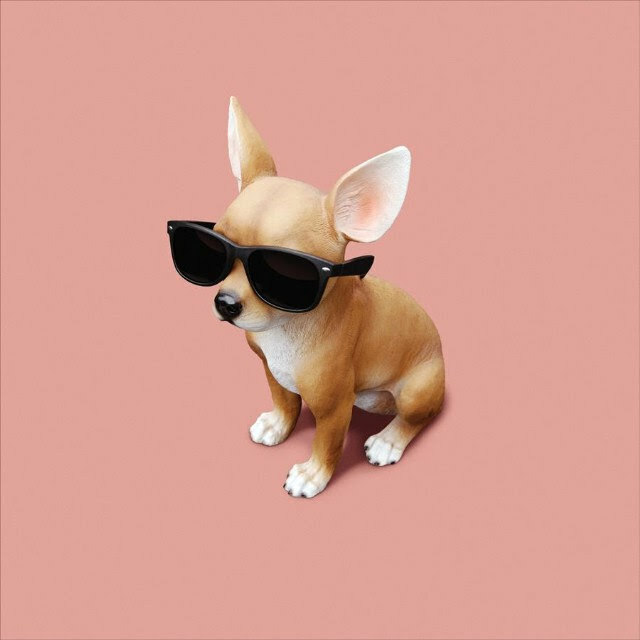 Wolf Alice is my favorite band of the last two years (discovered them in June of 2015) and the combination of seeing them live a few months ago and the release of this album cemented that status. If you haven't yet heard them I urge you strongly to at least listen to the first four songs on Visions of a Life, as they run the gamut of what the band crafts. Track one is a dreamy, shoegaze track that sounds as if it could have been plucked from Loveless. Track two is a violent, profane punk anthem. Track three is a quirky Eighties-esque song that when I first heard it (in concert) I wondered if it was a cover. Track four is a spoken-word spacey love song. There is something in those four that should appeal to anyone who reads this blog. This album is stunning and continues the strength of Wolf Alice-- which is unparalleled stylistic diversity. At times the music is gorgeous and the vocals are fragile whispers, and at other times it is an assault of punk rock with guttural screams. The weakness here is that the songwriting is not as strong as My Love is Cool, and many of the songs are based on gimmicks, as described by Jason Martin above in my Waxahatchee commentary. The gimmicks are fun, and the songs are good, but if you strip all the production and noises away, some of the songs could not stand alone. That is fine, but at times I wish there was more depth, especially lyrically. 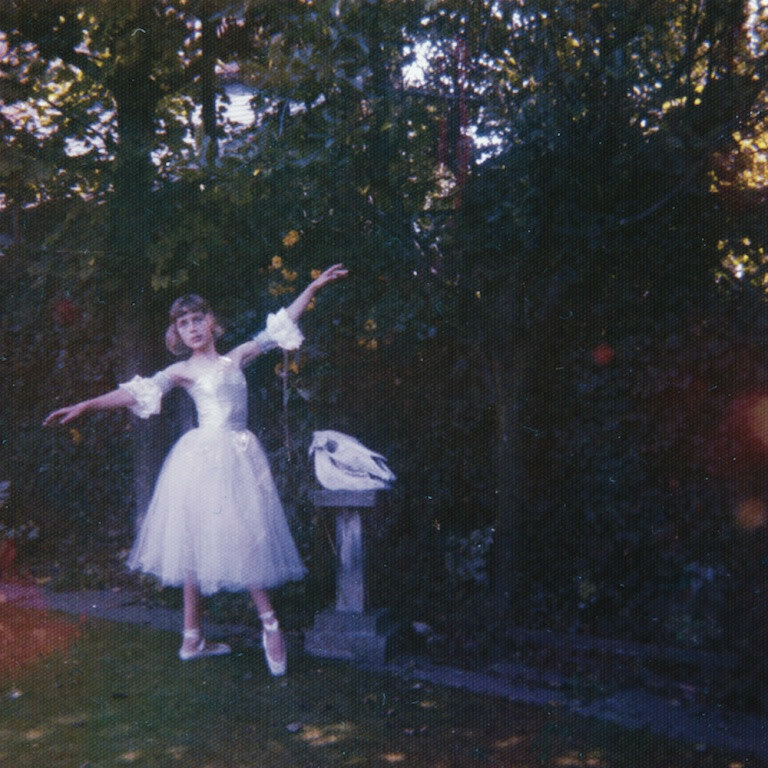 "All hail Wolf Alice, four U.K. twenty-somethings who have not gotten the memo about rock not mattering anymore. On a second album that dares to both sprawl skyward and focus its volume introspectively they fashion clouds of guitar noise into a crown for singer-guitarist Ellie Roswell. It glitters seductively, but it will draw blood if you step to her wrong...This is music that merges raw physical pleasure and dreamscape explorations. The stakes are high, and the payoffs are real." For some reason I have always felt like an LP should be at least 10 songs and at least 40 minutes; I have always thought the more music the better. Taylor Swift's 15 songs and 56 minutes are refreshing and welcome welcome. "I’m not worried about Swift’s financial security, her pop star status, her ability to sell out football stadiums, or her business savvy, and no one should be. At those things she is an absolute master. 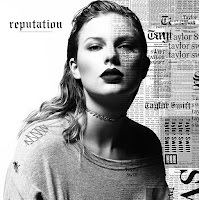 But I am concerned about her, because if the songs she has written for this album are any indication, Swift is caught in the web of a throwaway culture, and she has the potential to pull a lot of other (young) people into it with her." This album was released in January and for the first six months of 2017 it was my favorite album of the year. 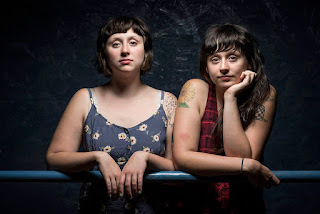 At the time I had never heard of Allison Crutchfield and didn't know Waxahatchie existed. But this album led me down a rabbit hole of Crutchfield twin music released over the last decade. And not until Allison's sister Katie released what would become my favorite album of 2017 was Tourist in this Town displaced. 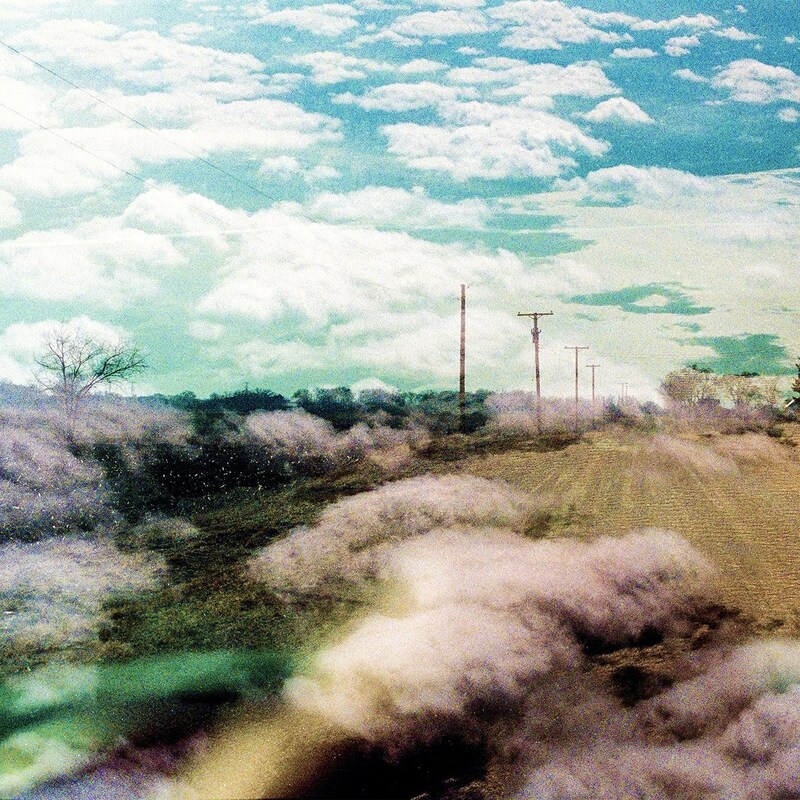 "'Tourist in This Town' is a breakup record whose ennui goes beyond romance. Couched in her stories are trials of self-acceptance, psychic grappling, physical dislocation. Cleanly produced by Philly synth-whisperer Jeff Zeigler, the LP channels the kind of late-80s synth pop that jettisoned style in favor of vastness and grace—skyline synths pirouette, vocals implore, pensive guitars sporadically erupt. The effect is to coalesce Crutchfield’s anecdotes and soliloquies into a blur of fury and melancholy...With less room for stormy punk guitars, Tourist proceeds with a new lightness of touch. Instead of steel-plating her tongue, the music consoles and reveres the heart-on-sleeve lyrics." With Sherri as the only remaining original member of Eisley, a band she co-founded with her sisters, it would have been easy to be concerned about the future or direction of the group. However, she--along with bassist and cousin Garron--and some new musicians, wrote what might be Eisley's best overall album. I wrote a full review and backstory in February on this blog. "'I’m Only Dreaming' further solidifies Eisley as one of the best modern indie rock/pop groups. Of course, the most obvious reason why is DuPree-Bemis, who seems to genuinely seems to feel every word she sings, but her voice wouldn’t be as impactful if it weren’t surrounded by such wise and vibrant instrumentation. While this record isn’t quite as nuanced as 'Currents' or as heavy as 'The Valley', it’s easily the band’s most attractive, developed, and heartfelt full-length yet. 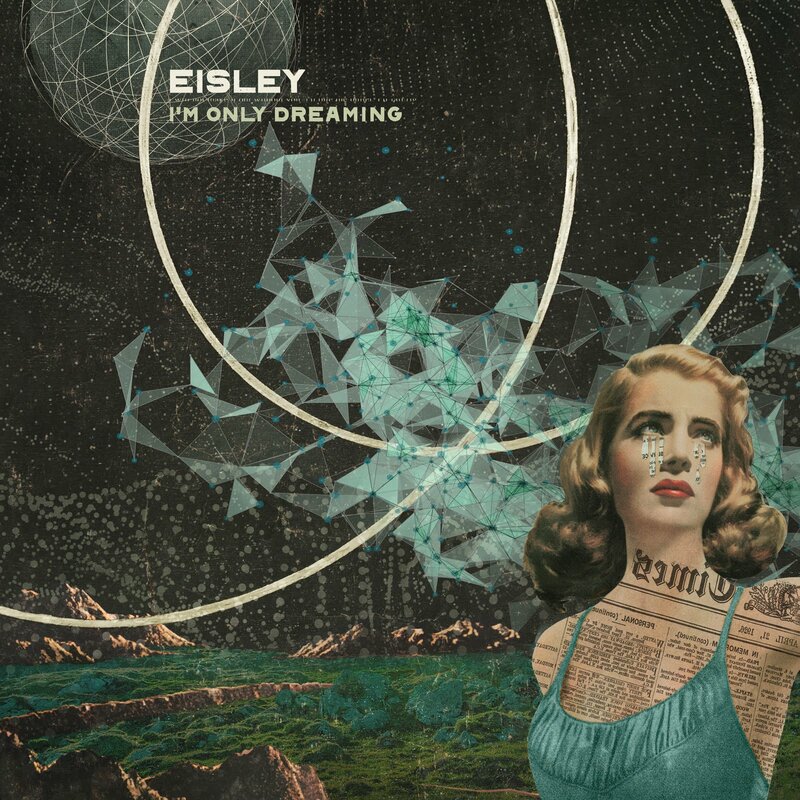 Honestly, it stands as a benchmark not only in Eisley’s discography, but for the movement as a whole, and any fan of the genre should check it out." I, like just about every other Jeremy Enigk fan, is secretly hoping that Sunny Day Real Estate will release another album. They have broken up and reunited numerous times, most recently in 2009. That led to recording sessions intending on an LP but instead only produced a 2014 single. 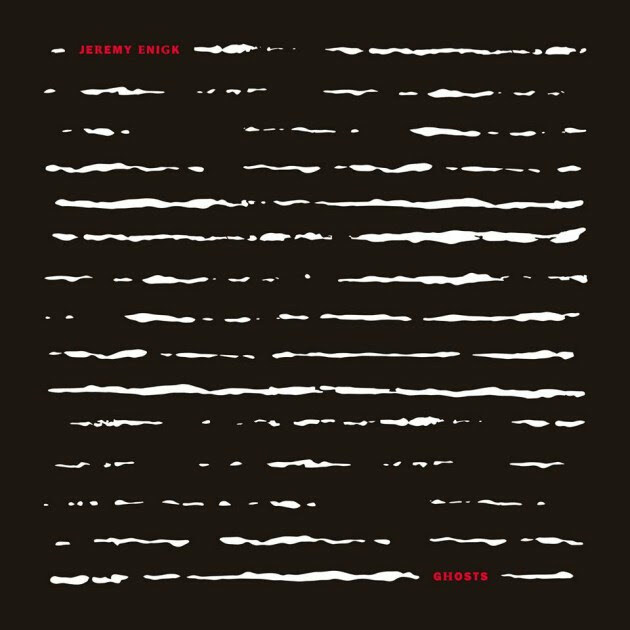 SDRE hope aside, Jeremy Enigk is phenomenal solo, and his band's back catalog is not necessary to give him credit for his personal legacy. The main problem with Enigk's solo work is the time in between each release: 1996, 2006, 2009, and now 2017. 2006 gave us World Waits, by far Enigk's best solo release. It was only three years to OK Bear, but that album was subpar and underdeveloped. Ghosts is more of a proper follow-up to World Waits. Enigk's music is built around his unique and strong vocals, and Ghosts adds far less instrumentation to his voice than past albums. However, despite being simple and quiet, the album has rock songs. 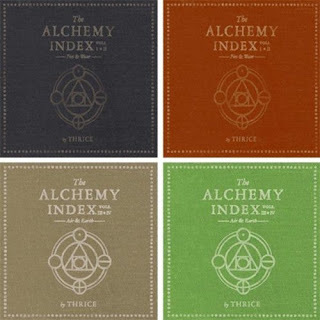 My favorite is "Sacred Fire", which sounds like a song that would be on The Rising Tide part 2. "'Ghosts' is even more beautifully produced than 'OK Bear' though; it’s the kind of album that presumably took so long because Jeremy waited until inspiration hit and really made sure he saw each meticulous detail through in the studio. He had been playing solo acoustic at his shows, but 'Ghosts' is heavily layered. It does use acoustic guitar on nearly every song but sometimes a distorted electric too, as well as gorgeous strings and piano, precise drumming that’s minimal at times and thunderous at others, and tons of atmosphere." This is the most beautiful album of 2017. 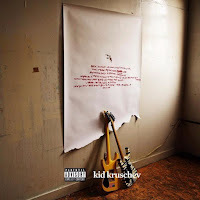 When I began writing this post, I had it ranked about #20, but as I continued to listen to it--my most listened to album of December--it kept climbing. 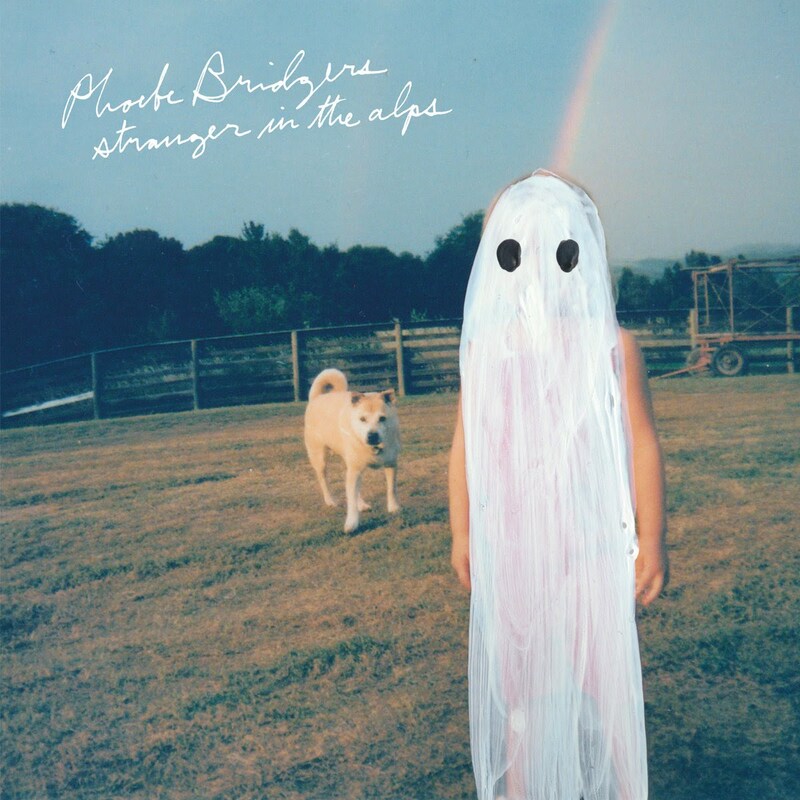 Phoebe Bridgers is like Rosie Thomas with a potty mouth. I thought about tweeting that over the last couple months since discovering Bridgers, but I recognize its silliness. However, there is truth to it, because Bridgers curses with the voice of an angel. "There’s a winnowing that comes from distance and absence, in a way that reduces our connections with a person, place, or thing to a series of images, portents, and memories. Those remainders linger with us as touchstones of something lost and departed. Stranger in the Alps, the new release from Artist of the Month Phoebe Bridgers, captures the sense of that winnowing, the longing for something missing but still inescapably present, in beautiful melodies and heartrending lyrics. It’s a feeling given form by Bridgers’ stirring voice. With shades of Gillian Welch and Jenny Lewis, the young singer’s captivating vocal performance provides the backbone for the record. Sometimes her voice is clear and arresting, standing out starkly amid the pleasing arrangements underneath. 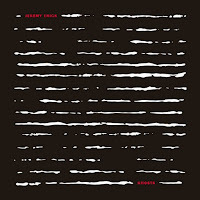 At others, it’s double-tracked and full of echoes, creating an ethereal, otherworldly vibe that helps conjure the spooks and specters that populate almost every corner of the album." Honestly, many of the songs and albums in the New Pornographers blend together for me. That is not necessarily a bad thing, because part of it is that they are all excellent. The band's last album, Brill Bruisers, was my #3 album of 2014, and I felt it was largely ignored by the music media. Thankfully though the band is now getting their due and recognition three years later with Whiteout Conditions. 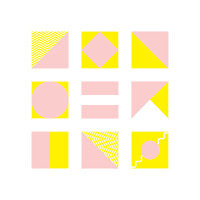 Brill and Whiteout are similar in that they ushered in a new era of happier, poppier New Pornographers music (although their music really has always been happy and poppy). I thought and wrote about the band a lot this year, including publishing my Top 25 New Pornographers songs. "This is the World of Theater" from Whiteout Conditions came in at #8. As a whole, the new record expands Brill’s buzzy, synth-forward sound. The Pornos weave solid blocks of interwoven guitars, keyboards, vocals and rhythms. Add Newman’s impermeable, sometimes overstuffed, lyrics to the mix and this can be a dense listening experience – albeit one that remains attractive in its deployment of melody, pretty voices and pulsing percussion." 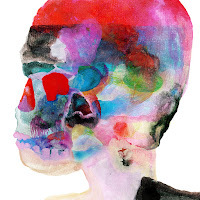 Like the New Pornographers, Spoon is prolific and has been releasing terrific albums for two decades. And like the New Pornographers many of Spoon's albums blend together for me because the quality never drops below excellent. I discovered Spoon along with many others with 2005's Gimme Fiction. Hot Thoughts is probably my most-listened to Spoon album since then, and the song "Can I sit next to You" was the soundtrack to our Spring Break road trip to Paris. "At this point, it’s safe to assume a new Spoon album will be a joy to listen to, even if it won’t upend your idea of what a Spoon album can be. On that front, 'Hot Thoughts' delivers. 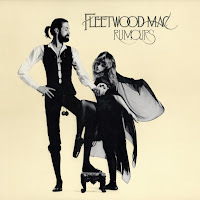 The album-opening title track is an instant classic of the band’s canon, with a tight descending bass line and bells that combine to form something like their version of a James Bond theme song. “Do I Have to Talk You Into It” sounds like the Beatles might if they had ridden the Magical Mystery Tour bus all the way into the hip-hop era, with boom-bap drums crushed by distortion and phaser..."
Earlier this year I had a friendly twitter exchange with David Bazan about a new solo track from his 2017 album 'Care'. 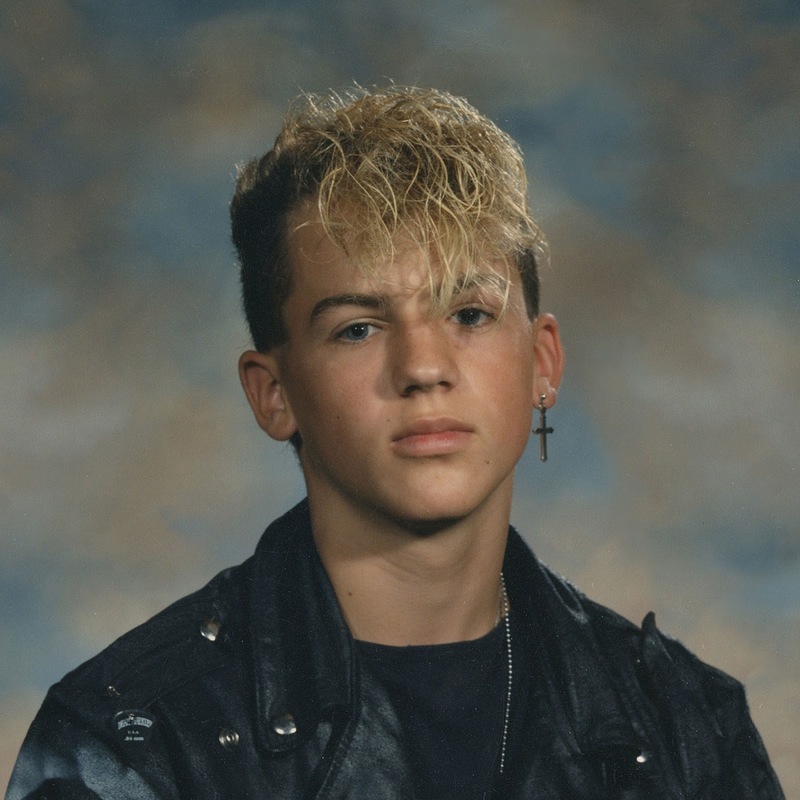 That led to me lamenting the absence of guitar in his current solo work and that maybe the cure would be Lo Tom. I hadn't heard a song from the band at the time, but he assured me it would be. And now with Bazan reviving the Pedro the Lion name, we can except mostly guitar-based rock music from him in the next couple years. In 2018 we have Pedro the Lion touring to look forward to, and I would imagine a a Pedro LP as well. And with the surprising level of success Lo Tom achieved, their interviews strongly suggest they will record again. "Overflowing with a confidently relaxed cool and an absolute lack of pretense or veneer, Lo Tom’s debut somehow feels both enthusiastically self-assured and deceptively effortless (though I suspect the former is far truer than the latter). That comfortable ease with which the band unfolds their slinky guitar-and-drum interplay on “Find the Shrine” or adds the perfect splash of drunken swagger to “Bubblegum” is a testament not only to each member’s multi-decade commitment to their own craft, but also to the impressive spider-web of collaboration they have spun playing on each other’s various projects over the years." This was somewhat of a welcome return-to-form for Mogwai for me with more pummeling walls of guitars. 2014 Rave Tapes is probably my least favorite Mogwai LP (of nine) as I did not enjoy the band's electronic experimentations. 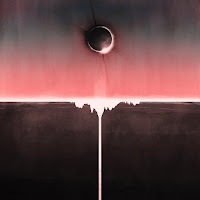 "On 'Every Country’s Sun', their ninth LP, Mogwai find their center of gravity. 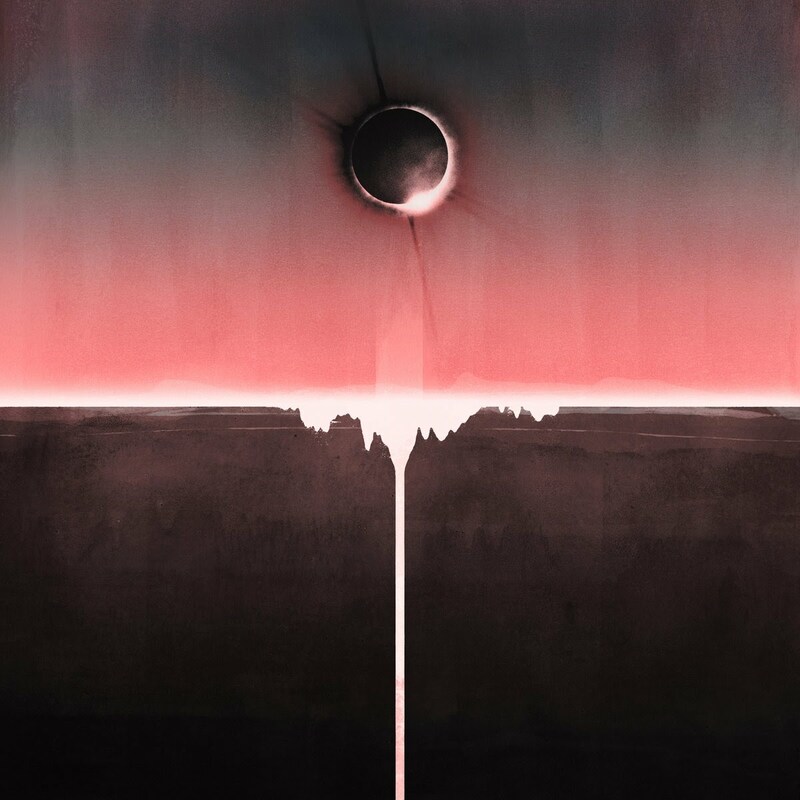 Finally, these Glaswegians are having fun again, loosening up and dirtying up, but with purpose and fire...And for at least half of their new record, Mogwai play—for the first time in years—with the same bratty conviction that defined their greatest records, like there’s something truly at stake. At its best, 'Every Country’s Sun' is brash, gritty, unpretentious, and thrillingly claustrophobic—a work of volume and violence in tight spaces." Honestly I had hoped to love this more; maybe with time. Julien Baker's debut Sprained Ankle I discovered through scouring album-of-the-year lists at the end of 2015 and was a late addition to that revised top 20. 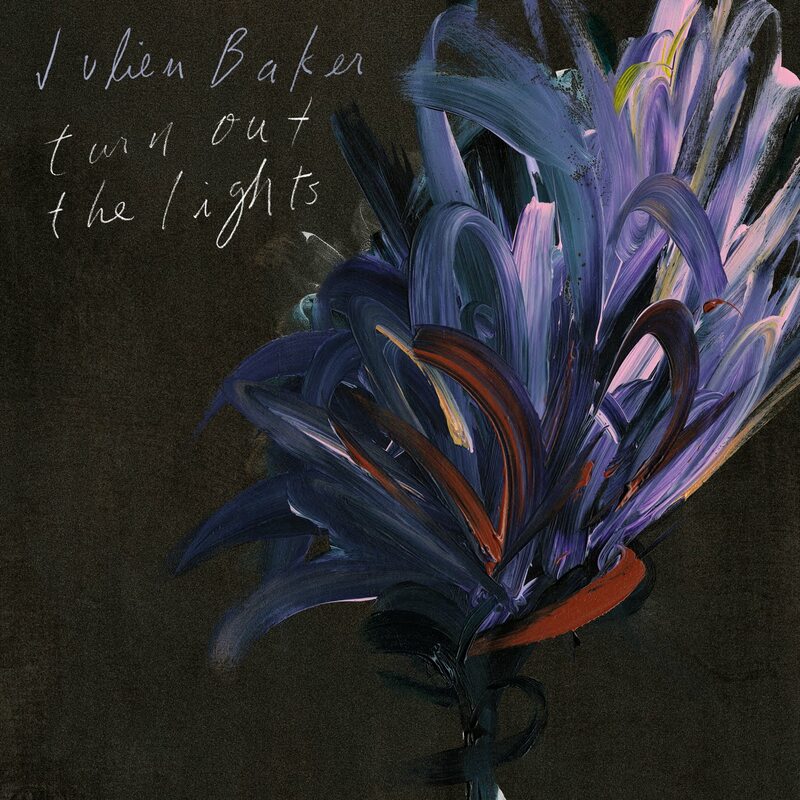 This album is slicker and more produced than the debut, and the songs are profound and sad. It is worth noting that Baker has also front(ed) a rock band (originally the Star Killers, now called Forrister) and they have tunes you can download on Bandcamp. 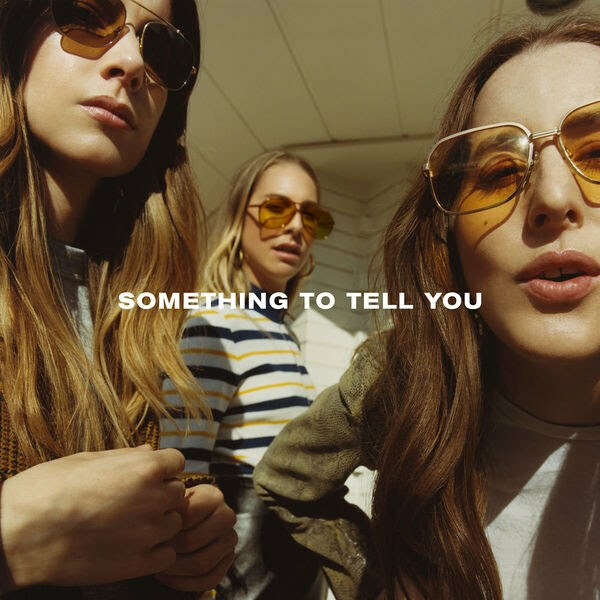 "'Something to Tell You' sounds like the work of a neural network trained on soft-rock radio: hyperspecific melodies and riffs arriving with Markov-chain unpredictability, so dense it’s impossible to keep up with what they’re referencing now. As with that radio, some of those references acknowledge the 2010s: the backing vocal line two-thirds of the way through “Want You Back” that quotes, ever so briefly, the melody to Rihanna’s “Needed Me”; the times Danielle tosses out the same Michael Jackson hics and tics the Weeknd’s replicated all over top 40; how the title track, given a thumpier production, would fit right in on that station. Even so, most of Something to Tell You suggests a world where musical history stopped in 1999, where was still a clear line in pop music drifting momentarily into R&B and ’80s synths but otherwise running from Fleetwood Mac to Sheryl Crow, Wilson Phillips to Jennifer Paige, one that given the near-total lack of forward motion between Days are Gone and this, Haim seems willing to follow forever." My family loves this duo way more than I do personally, but it is an excellent and quirky mostly-vocal debut from the group my wife has deemed "White T-Shirts". "It's thrilling to know that one of the best albums of 2017 is made by two of the best friends you'll ever witness on a stage. 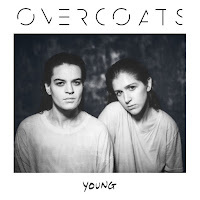 Overcoats' 'Young' is a record driven by ambition and passion, not craft. That's not to say Hana Elion and JJ Mitchell aren't terrifically talented singers and songwriters: What sets them apart is that I believe them. That the emotion in their harmonies and the space they give each other is filled with compassion. I believe their songs of loneliness and doubt." "It’s hard to believe that Nashville singer-songwriter Sophie Allison is only 19. With the release of singles “Be Seeing You” and “Last Girl” earlier this year, she went from relative obscurity to overnight success, hitting listeners with all the right feels with her wistful lyrics and lullaby lilt. 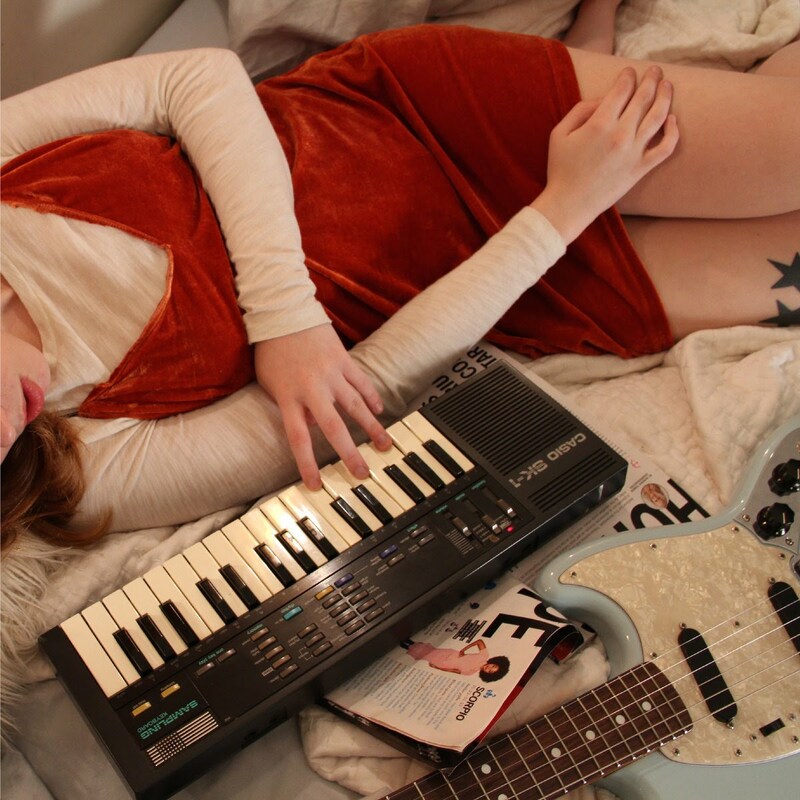 Allison who has split her time between Nashville and New York as a student at NYU, has built a fanbase from the DIY community, using Bandcamp to boost her penchant for independent artistry. But Allison isn’t exactly new to music: she’s been releasing tracks for free throughout the past few years. Yet Collection emotes what it’s like to be a young woman trying to navigate feeling in-between adolescence and adulthood." "'Guppy' is a fast and loose and delirious debut, an addictive sugar pill. It sounds immediate and irrepressible, like all these great songs just came bursting out when someone pointed a microphone in this young band’s direction for half an hour. Of course, that’s not what happened. It took real work to make something this immediate. The band recorded an entire earlier version of the album with Parquet Courts/Speedy Ortiz collaborator Justin Pizzoferrato, and they ended up scrapping the whole thing, since its sound wasn’t the one they were looking for. Listen closely and you can hear all the sharp and clever little melodic decisions that went into what they do. " 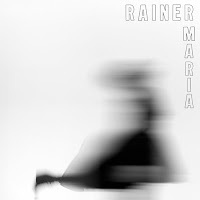 "...'S/T' is Rainer Maria at their brightest. The songs bubble with nervous energy. Many are loud. Several are joyous, in a we’re-still-alive kinda way. Bolstered by Fischer, DeMarrais’s voice finds new depth, and comes closer to shouting than it has in a long time. This band is fired up. “Let the rest of the world be coarse / You stay sweet for me,” DeMarrais implores on the blazing and catchy “Suicides and Lazy Eyes.” That song leads directly into “Lower Worlds,” an artful and unexpectedly groovy rocker bolstered by Fischer’s fierce backup vocals. “Communicator” is fun and ferocious, shot through with rocketing punk energy." "The World Is A Beautiful Place have managed a careful balance between calling back their previous accomplishments and forging ahead with something new. They create the huge sweeping builds and crescendos of their previous albums, but do not rely on them. When these massive moments fade away they unveil equally intimate and touching moments. Sonically, it is lighter, faster, and happier sounding, without sacrificing depth in its lyricism, nor abandoning instrumental complexity." 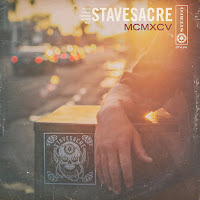 When Stavesacre announced a crowd-funding campaign a couple years ago I jumped right in with a contribution/pre-order for what I hoped would become their first full-length album in over a decade. However, I was skeptical that it would be very good, as most of my love for the band is based in nostalgia. They released three mind-blowing albums in the 90's, but everything in the 00's was hit or miss. But I do love the guys and it was worth taking a risk to support their ability to make art. And as it took so long for them to write and record the album (much of it remotely) I forgot the campaign was even in progress. When I first heard the album I was underwhelmed as I was hoping/expecting the tunes to have a little harder edge. Not that the album isn't hard, I mean it is "hard rock" I guess, but their last release, an EP in 2009, was arguably the most aggressive songs they had ever released. The album is definitely a grower, and I like it more and more upon each listen. That is different than their past works, as I was either blown away (Friction) or underwhelmed (self-titled) upon first listen. The highlight here is the lyrics. Mark has matured significantly as a song-writer, and there is more depth to his commentary than ever. There are also multiple intentional references to Stavesacre's older songs and albums, which is fascinating as a fan. Will this album have appeal to anyone who has never heard the band before? Doubtful. But if it is the last album Stavesacre records, it ends their career on a much more positive note than where it was before. "MCMXCV is both dark and beautiful. At times thrashing and at others, quiet and pleading. This release has something for fans of Stavesacre past, present, and future. Produced by Paul Fig, the sound mix is great. Mr. Fig has to juggle many different musical styles throughout the album and does so deftly." "'Everybody Works' represents another singular vision. Made in a three-week stint of self-imposed isolation this past October, the record showcases her unique and multi-faceted musical prowess: Duterte plays every instrument and produced nearly every sound on the record, blending breathless vocal melodies and jazz-inflected harmonies with stirring orchestration and cathartic bursts of distortion that gives her aching songs a frenetic crackle. 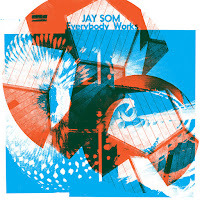 And while Jay Som returns to the fuzzed-out guitars ("1 Billion Dogs" and "Take It") and yearning pop ("The Bus Song") that has defined her earlier work, these new songs introduce an ever-expanding palette — shimmering and spacious synth-pop ("Remain"), glossy R&B ("Baybee") and slinky, polyrhythmic funk ("One More Time, Please")." 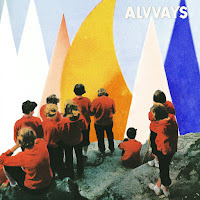 "After releasing a debut album of noisy pop that was perfectly formed and felt like the work of a band already at the summit of their career, it seemed like the only place Alvvays could have gone was down. Maybe sideways, at the very best. Instead, after taking their time both writing and recording the follow-up, they made a giant leap forward instead. 'Antisocialites' has all the sticky hooks of the debut, all the boisterous noise, and the open-hearted honesty, too. What the band adds this time is confidence and skill, gained from the reception their debut got and also all the time they spent playing bigger and bigger shows. The sound of the album is bigger and the arrangements fuller and more spacious, giving the instruments room to breathe. 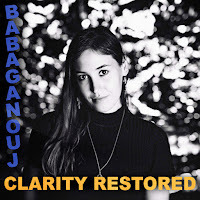 It's a bit of a change, but it works in their favor, especially since Molly Rankin's vocals are a little more to the front of the mix and she sounds strong and fully in command of her voice, while retaining all the vulnerability she displayed before." "They say the best things come in threes, and football, etc are an American (Texan) three-piece, with ‘Corner’ their third album. 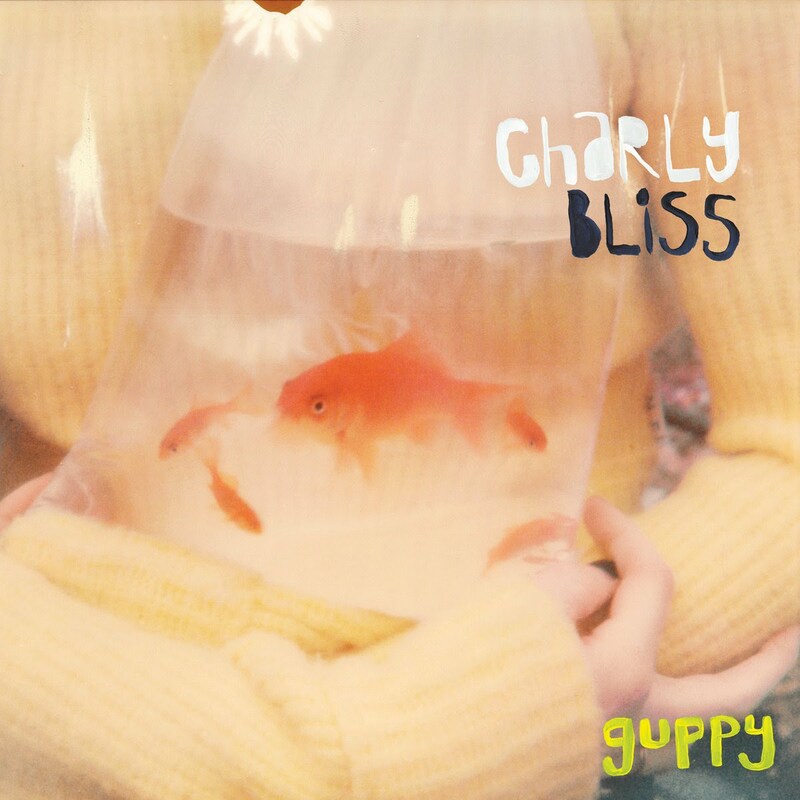 With their metallic-tinged female vocals, slightly downtempo guitar jangles and seemingly endless ability to find nuanced melodies, this is a chill-out emo record – if there can be such a thing. It’s the lazy grace that impresses most. Throughout the album the guitar lines are plucked with the quiet confidence of Pullman’s softly creaking sounds or American Football’s gentle insecurity." "'The Worm’s Heart' is a complete re-work of The Shins’ critically acclaimed album 'Heartworms'. 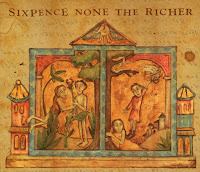 The album offers new, reworked versions of the original album tracks with the sequence flipped. 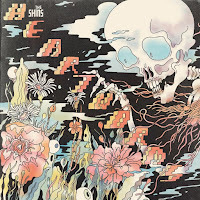 When James Mercer wrote, produced, and recorded the 'Heartworms' album, he had this desire for an alternate version, an opposite version. The album’s slow songs would be flipped and re-recorded as fast songs, and vice versa." "...this shift in focus from a group mindset to one-man-band was accompanied by a period of deep self-contemplation. What came out of that mode is 'Heartworms,' a touching collage of reflections on how he changed from a budding teenage songwriter to an ostensible indie-rock icon still making melodies as he closes in on middle-age. 'Heartworms' is an understated and charming production of orchestral rock, surfy riffs cresting summery melodies and experimental streaks of reverb. It even includes a couple of just-about-danceable dashes of synth-heavy trips glowing with a glammy new-wave sound. The way Mercer sings throughout—the break in his voice, the curve in his lower register to the ache in his falsetto—is usually more interesting than what he’s singing about. He’s always sounded like the kind who gives his heart time to harden before poetically penning his regrets; the wounds never sound fresh." 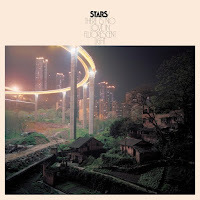 "Stars stretch hushed electro-pop into scrambling arena rock, blending the Smiths’ guitar romance with bedroom soul like the product of some Mancunian Motown. Campbell, along with Amy Millan and their four bandmates, have been fiddling with their blend of heartache and hedonism, dance beats and guitar sparks, for almost 20 years now. So it’s little surprise that Campbell knows what they’re best at, even though Stars have had a run that sometimes made us wonder. If 2012’s 'The North' was a cautious return to form and 2014’s 'No One Is Lost' had some fun with it, then 'There Is No Love in Fluorescent Light' finds the band with their feet on the streets and their heads scraping the sky, just where they belong." My biggest complaint with Aaron Sprinkle's solo album was the lack of guitars and live instrumentation. 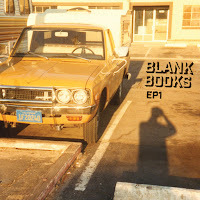 With the release of Blank Books it was as if Aaron, along with his brother Jesse, said: "Take this!" The guitars are raging, the drums are pummeling, and it is as if you were at a Rose Blossom Punch show in the late 90's. This is the Sprinkle brothers first collaboration since Poor Old Lu however, as Jesse did not play in Aaron's other rock bands. So good to hear Jesse's drums again as he is one of the few drummers I will actually pay special attention to and focus in on. 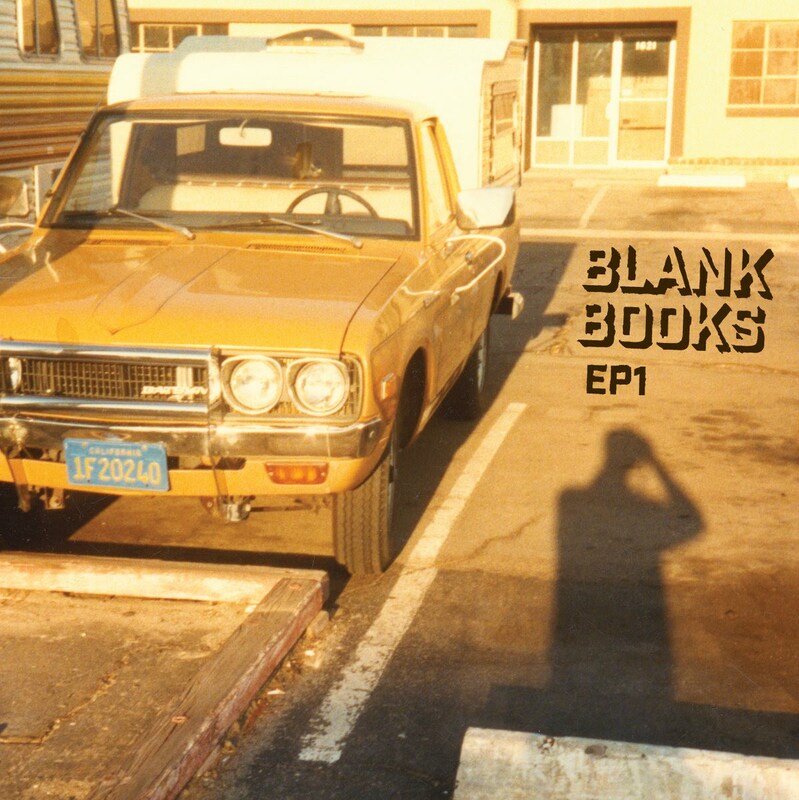 Great insight from Aaron on Blank Books in this December interview, and explains that this EP is not a one-off, but hopefully the start of something bigger. "EP1 is a sometimes-grunting, often-soaring, six-song EP that lands each footfall with the impact of a rhino and features a trajectory of guitar riffs that articulately survey the heights of 80’s arena rock, late-70’s metal, and 90’s grunge — with a sprinkling of punk on the side. 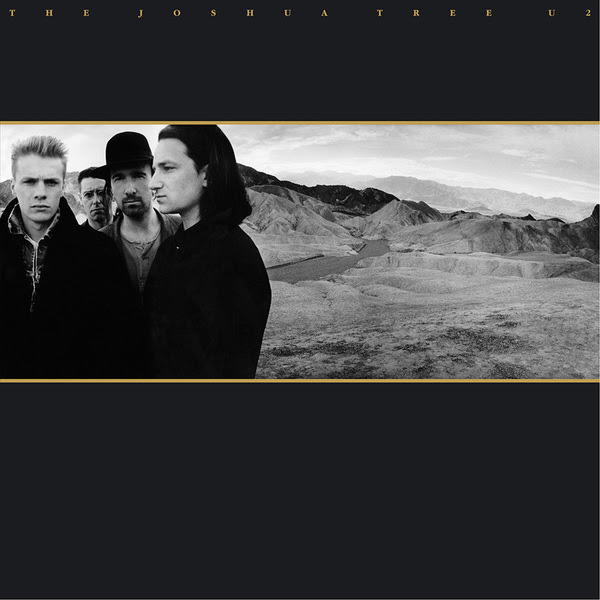 The weight, tones, and heights of the guitars, combined with the Jesse’s deft drumming, contrast with Aaron’s sometimes-fragile, always-fluid vocals in a manner that seems to create space and allow the listener to simultaneously appreciate the unique contributions of each component while reveling in the richness of the whole." 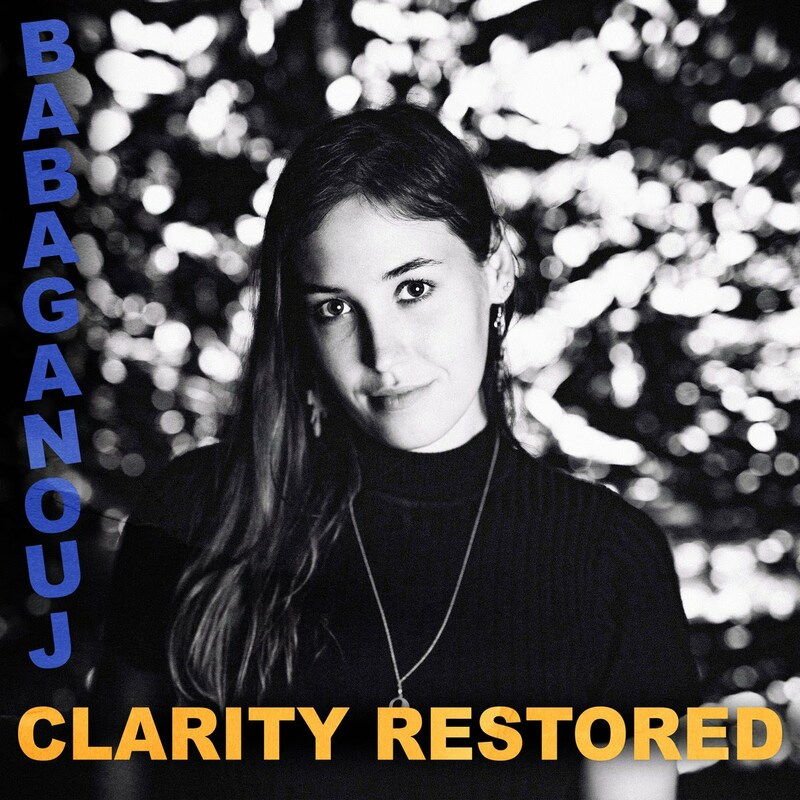 Babaganouj was a random Bandcamp find, but became one of my most-listened to releases of 2017. They have been releasing EPs on Bandcamp for quite a while, but this is by far their best work. Finding information of them online has proven difficult, and it seems their largest popularity is in Japan. Harriette Pilbeam, who sings in Babaganouj also recently began a solo project under the name Hatchie. The first two songs she has released are outstanding. While Lee Bozeman's primary musical outlet is the band Luxury, he has recorded a ton of solo work over the years under the names All Things Bright and Beautiful and Orient His Name. He releases much of what he writes as rough demos and has been posting to Bandcamp for years. Bozeman actually released two EPs this year; this one, the first under his own name and by far the most fleshed out and produced solo music he has put out. The second EP, released a few days ago, is a set of three Christmas songs about Mary. 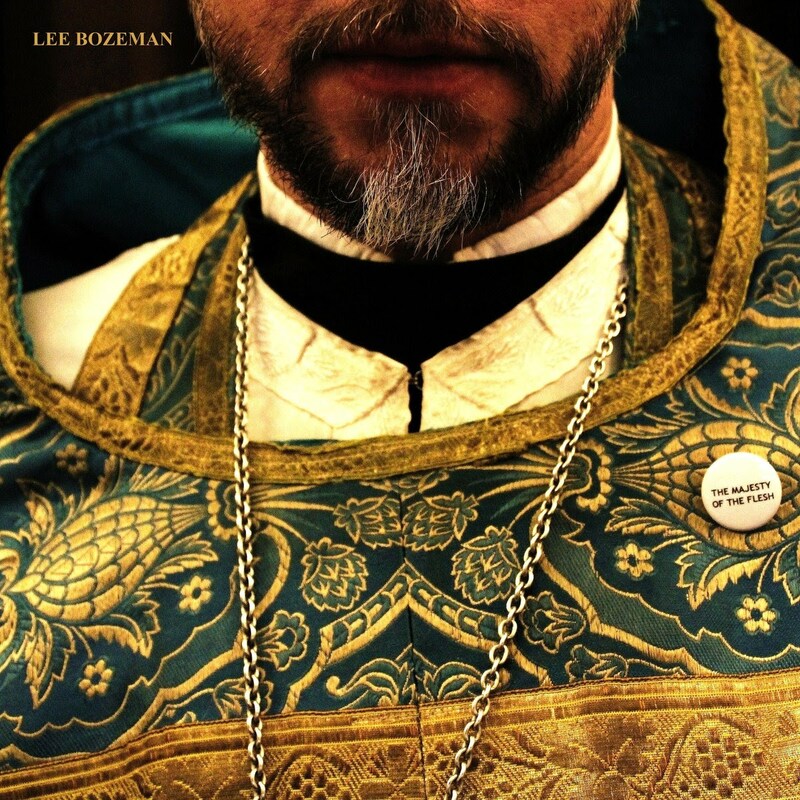 "Lee Bozeman's always been something of a romantic and a provocateur — taunting, teasing,and often both at once, with some wisdom woven in...His discography across five Luxury albums and assorted solo ventures over the last two decades have seen his tongue lash and lure with careful attention to love, history and faith. But even as the sound of his velvet punk has changed, Bozeman's lyrical themes have not, which becomes all the more curious once you learn that Bozeman became an Orthodox priest a little over ten years ago." "While their early work tended to use lyrics as texturing tools, splicing in the words that sounded the best and brashest, they have since adopted a narrative thrust in their songs. 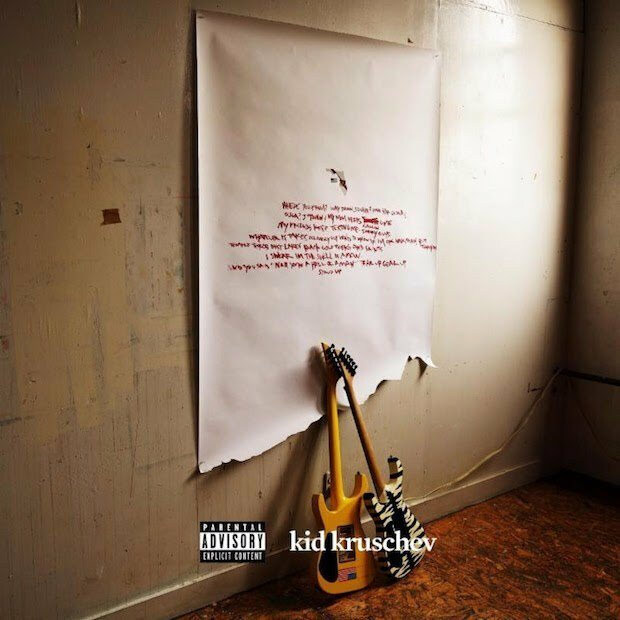 The band’s newest release, the mini-album Kid Kruschev, offers perhaps the most thematic cohesion of any of their albums so far. After last year’s scattershot Jessica Rabbit, it feels like Sleigh Bells have narrowed in on the stories they want to tell and the leanest way to tell them." 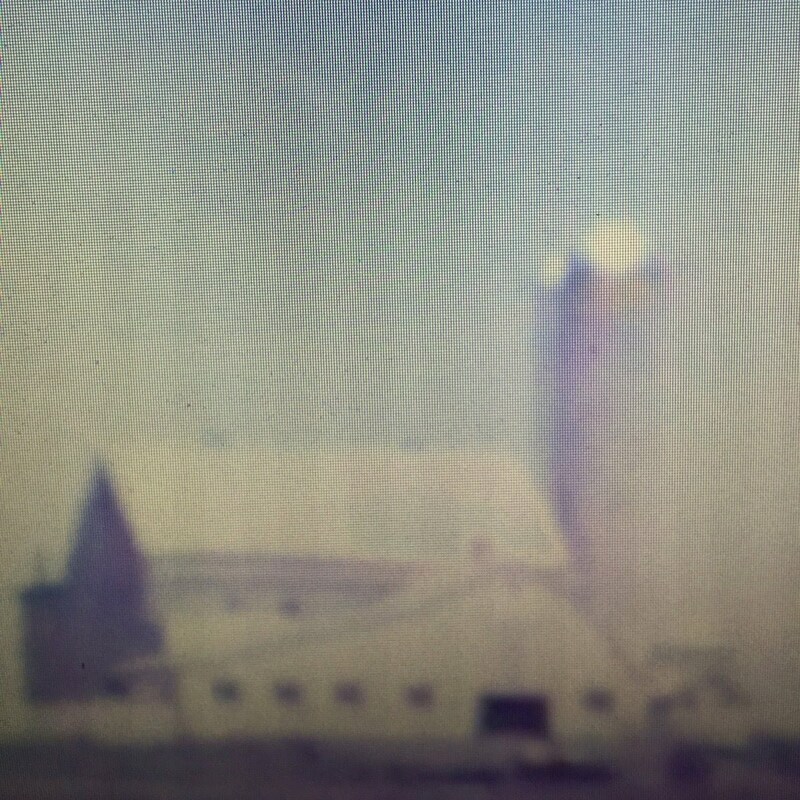 Eerie Gaits is a solo instrumental project from John Ross, who fronts the band Wild Pink. Wild Pink's debut LP was an early fun discovery early in 2017, but Eerie Gaits is so much better (and couldn't be more different). "...basks in the soundscapes of American history with a rich, reflective new ambient touch. His reverb-drenched lap steel drifts through a broad spectrum of dusty Nashville sounds, finding an alternate timeline that links Townes Van Zandt’s sappy country and Brian Eno’s sobering meditations. Midway through, Ross dives into a warm, layered riff that recalls the sensitive guitar work of William Tyler or Chuck Johnson. The melodic punch of a multitracked banjo and fingerpicked guitar give the lap steel more body and a somber groove. “Eau Gallie” offers something bigger than the sum of its parts: a warm collision of instruments overflowing from their tender, pastoral roots." because Kennedy died in Dallas"